Please ensure you check your cat’s size before purchasing this item. 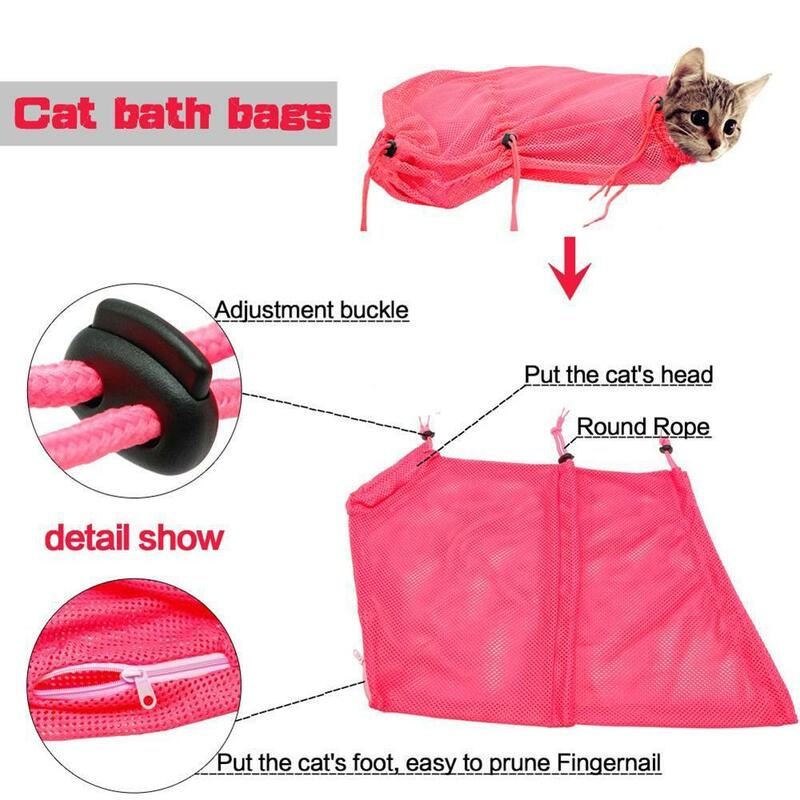 The bag made of high quality polyester,mesh design to let water in and out when bathing, adjustable buckle Fits for all cats in different body shape and ages. 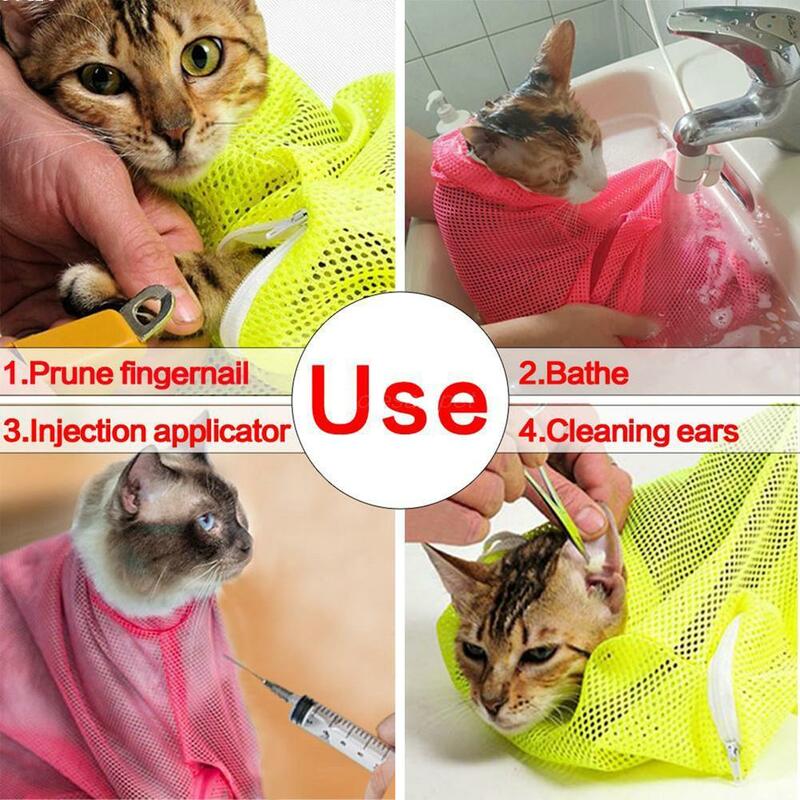 One front zippers of Cat Grooming Bag allow cleaning of front paws, as well as nail clipping Suitable for cats grooming, bathing, cutting nails, picking ears, cleaning teeth, feeding, using eye drops, giving medicines and shots. Also ideal for dental cleanings, injections, ear and eye treatments, examinations, and administration of medicine. This bag features a quick-close collar, two-way main draw string card buckle for front and rear access, an additional underside zippered paw openings.